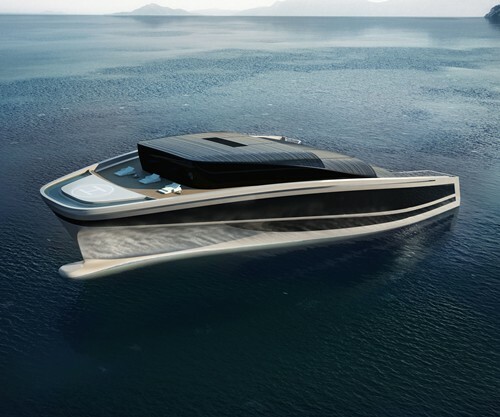 The WHY (Wally Hermes Yatch) is a concept yacht dedicatedly focused on bringing luxury living lifestyle on the sea through offering maximum durability, space and cutting-edge technologies at every single turn. Aside from the 25 meter long seawater pool on the bow, the boat creates a completely flat water surface behind it, similar to an Olympic-size pool where boarders can swim in peace. The boat is powered by a diesel electric engine and a central computer manages the different sources of energy. Moreover, about 900 square meters of photovoltaic surface panel generates a part of the energy that is required to subsist the boat.